So many times in our life we find ourselves back inside a learning curve, whether it be learning a new medium, adjusting to a change in career, figuring out evolving technologies, or simply navigating change. Life seems to be designed to keep moving and certainly promises changes. If we can understand the concept of life constantly moving, we can also accept a little ebb and flow in our lives. If we can be open to the changes, we can open ourselves for better learning and growing in a positive way. Many times we find ourselves experiencing sudden life changes due to unforeseen circumstances. Initially they may appear to be things we’d rather not want to move through. It can easily align us with a resisting perspective. Change isn’t always the easiest for us when we were comfortable with how things used to be. Even further, we may be more resistant to the thoughts and fears of the unknown. It’s common among many of us to be a little afraid of change. We can still move forward even without knowing the outcome by letting go of some resistance. We can start by being more open-minded to changes and curves. We often have opportunities for learning in life. When we are fighting change, we close ourselves off to more possibilities. To move forward with more grace and ease, it can be helpful to let go of our stubbornness. We often act stubbornly when we feel vulnerable. Operating from stubbornness can close us off to learning and understanding. We can miss a lot of growth when we are caught up in our heads (egos) with stubbornness rather than being open to what we can learn from others and our universe around us. To learn often requires seeing and understanding from another perspective. Our egos can feel a little bruised when we struggle while learning. This can create resistance and a lack of understanding. I’ve found learning to be a more powerful experience when I can be open and truly listen rather than battle with what my ego thinks it knows. I think we do this often inside our minds more than we would like to admit or consider. 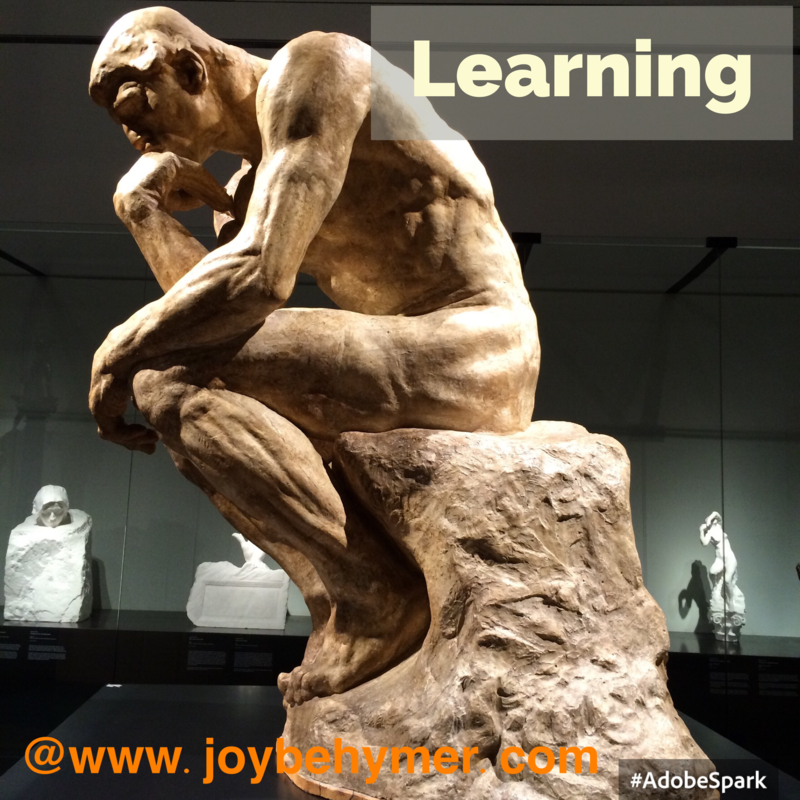 Learning really requires loosening up from what we already know. Not knowing makes many of us feel vulnerable. Being open when we feel vulnerable can provide us with an opportunity to tap into our own superpowers. We have the ability to tap into our own wonderful creative energy and guidance from within when we allow ourselves to tune in as we move through unexpected circumstances. Life provides an enormous number of opportunities to view things from a variety of perspectives. Whether we choose to see them differently is up to us. Learning doesn’t have to scare us so much. We can see it as an opportunity to receive more helpful tools. Learning can empower and enrich our lives. We can allow more openness for perspectives other than our own. When we are open with ourselves we can hold that healthy space for others. As the universe inevitably expands and grows, so can we. And even when the changes are unexpected, we can approach them with joy rather than fear. Learning can not only take you many new places, but help you find more peace and understanding. When you feel change coming, try to be more open and receptive to allow learning into your experience. What we learn can boost and enhance our lives! Many times we are not mindful of the words we habitually use. The habits we create with our words can directly cause what we are experiencing. One disempowering verb I hear used often is “should.” First off, “should” seems like such a bossy term. When we tell others what they “should” do, we are imposing our own beliefs onto them. Often our beliefs and perspectives are different. When we throw the “should” verb towards another we are also throwing our judgments as well. Rather than being helpful we are invading or disturbing another’s view. “Should” really is a standard we have decided to uphold for ourselves, but we aren’t being careful enough with how we habitually use it. It’s a bit like not minding your own business. We all have choices in how we handle things. Experience can also teach us how to react in the future. 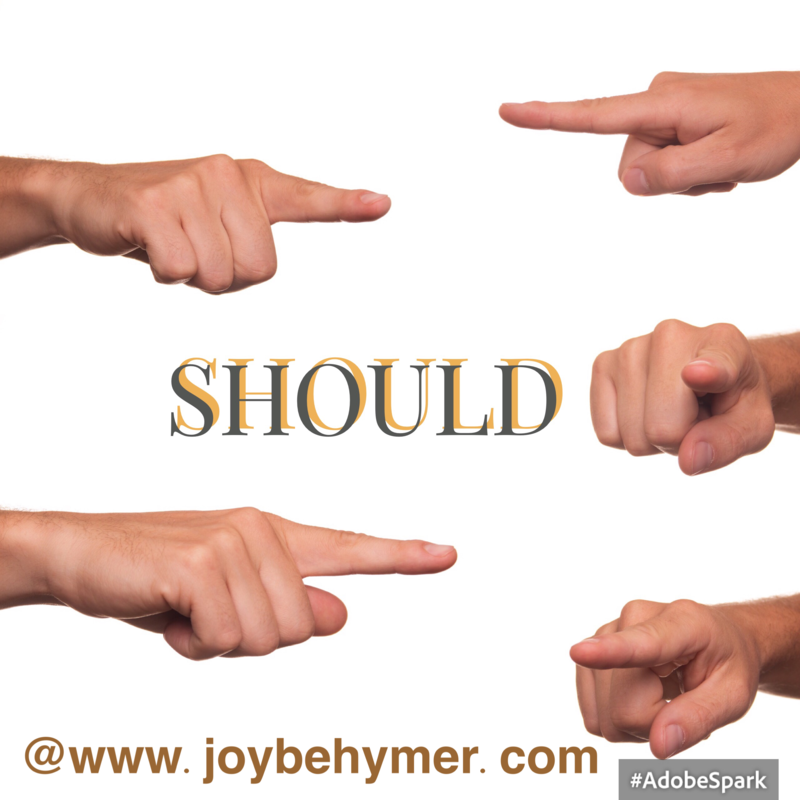 When we infringe on another’s experience with our “shoulds,” we disempower ours and their own. The idea of how someone “should” take care of their home, kids, or life is certainly diverse among us all. Encroaching on another’s lifestyle makes it difficult to argue for the freedom of your own. To choose one’s own career, home, personal fashion, or perhaps religion seems to be a common desire. As you decide to resonate what is important or joyful to you, it helps to hold the same space for others. Just because others’ lifestyles and choices are different than our own doesn’t mean we have to agree. You can decide something is wrong or unpleasant for you, but try to accept that it may be joyful for another. When we use the verb “should,” we are not allowing for the same freedoms we wish and choose for ourselves. We make choices from our own perspectives. When we don’t walk in another’s shoes, we may not understand their choices. Rather than expending our “shoulds”/feelings onto them, we can empower each other with an open mind amongst our differences. I believe we can hold healthy space even if we disagree. We certainly weren’t created the same. We look and act differently in a variety of ways. We also won’t experience the same perspective. Having different experiences can lead us to different conclusions. Think of it this way: The astronauts in the rocketship are going to see a different view than the people at the space command center. Yet they are both needed for a successful launch. “Should” closes the door to different options and opinions. We can halt kindness and understanding with our “shoulds.” Pay attention to how often you project your “shoulds” and judgments in situations. See if you can allow for some freedom of differences. It may enhance the understanding and healing within yourself and your relationships. Often when I hear others say the phrase “I need,” it makes me cringe. 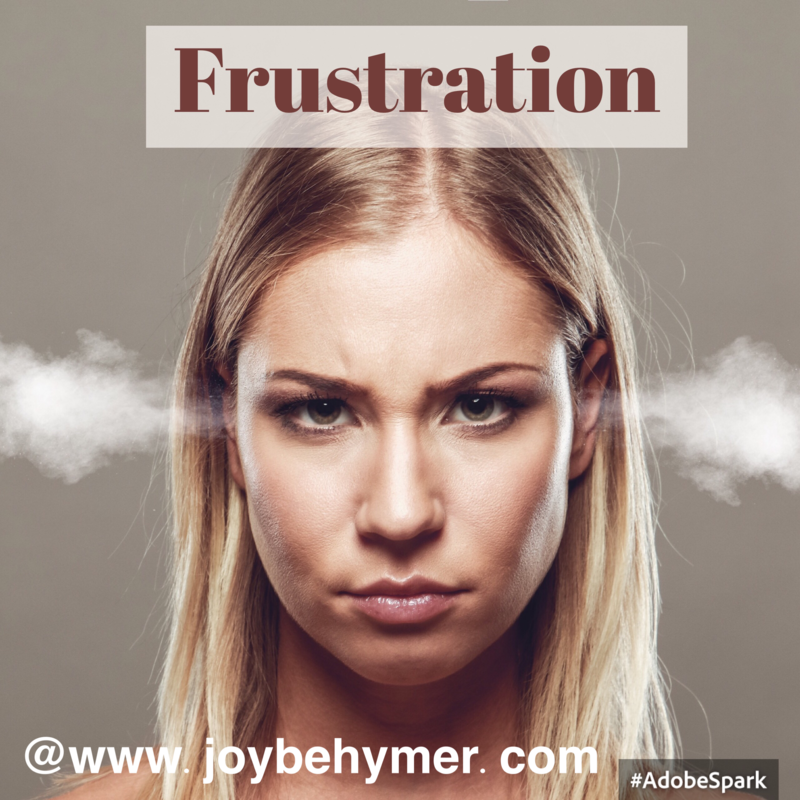 It seems to be a common bad habit that may be holding us back rather than moving us in the direction we want to go. Once I really understood the power we have with our words and energy, I had to break this habit myself. When we are in need of something, we are lining up with the energy of lack. I’m not saying you can’t be aware of what you would like more of, but often we focus too long on the lack of what we feel we need. This focus aligns you with more need. The statements we make can empower or disempower our lives. 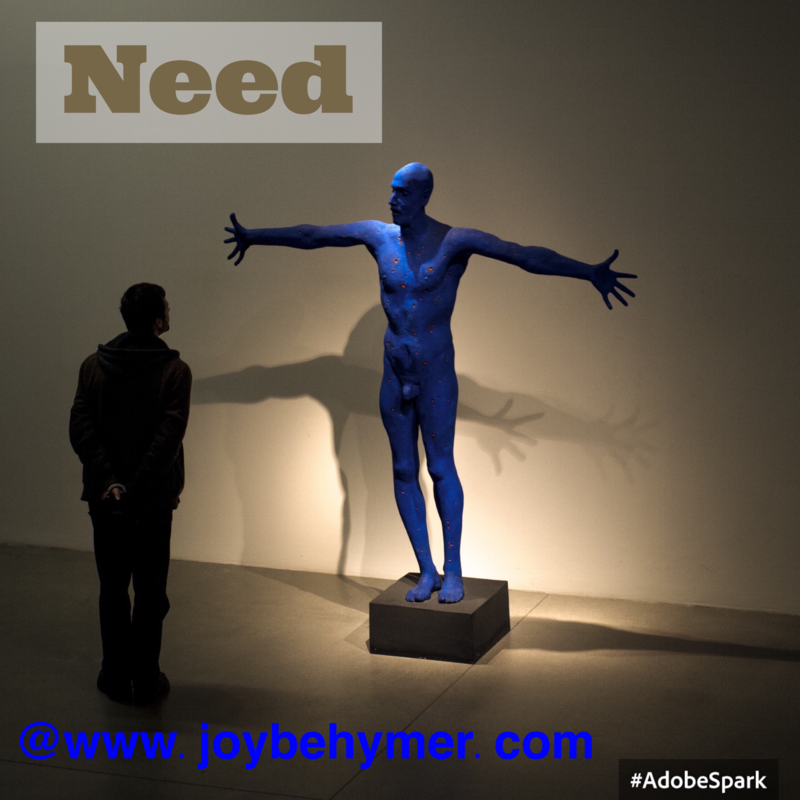 I don’t think many of us understand that “need” can be a very disempowering word. It’s a bit like focusing on the problem rather than tuning into the solution. Once you have identified that you want to go in a different direction than you are currently facing, you will move along further and faster if you let go of your need and embrace the fulfillment of appreciating what you do have. Focusing on what we do have invites more. We do that by not only focusing on the direction we are heading, but using words and emotions that line up with what we would like to have, do, or see. For example, if you want to attract a loving partner, you will be more powerful at attracting them when you are a loving partner. If you want to experience more peace from others, you begin with working on peace within yourself. If you want to attract more abundance in your life, you can empower your energy by first giving of yourself, whether money, time, or energy. You give out and emit the frequency that you wish to receive. We may not only be habitual in making statements about what we need, we also disempower others by telling them what they need. I know when someone starts a conversation off telling me what I need, I immediately start resisting their suggestions and building a wall. It’s a little pet peeve of mine. I feel we are much more powerful and helpful to others when we can share helpful information rather than pointing out their needs or lack. Often we are selling things for a living. Whether it be products, information, business, health care, or experience, we can be mindful of the words we use when interacting with customers. For example I have run across this scenario so often through the years: When someone tells me “you need to…”, I want to stop them and say “You will get much further with me if you give me suggestions of what I could do.” Being a business owner for years, I’m approached by salespeople often. It may seem small and silly, but if you are attempting to sell me something, I am more receptive depending on how you approach me. I find I’m not alone in feeling this way. One thing I have learned repeatedly through the years is that we can be more powerful when we empower others. This includes the way we sell and do business. The problem we can easily run into is focusing on others’ lacks and needs. . Emotionally we may not get the chance to share the help they can use because of the words we speak and energy we use to share our gifts and products. I’m not saying that this will always guarantee a sale or lead, but I’ve learned it can get you a lot further towards those goals. Think of it this way: If someone were to offer you help, would you be more receptive if they demonstrated what they have to offer, or if they pointed out your lack and needs? Often we are taught how to sell without putting ourselves in the customer’s shoes. If you don’t like to be approached that way, why would they? I’m encouraging you to be mindful of how you like to be approached before approaching anyone. The way we approach others and the words we use for our lives can powerfully dictate our experience and the direction we go in. So why not empower what you can to move you further towards your desires and goals? Rather than focusing on our needs and lack for ourselves and others, try to empower your words further by focusing on the intended direction. I generally find that people like options to choose for themselves. It seems when you can empower people towards their own choices and decisions you are more helpful to them. If you have advice or business of value to offer others, I would encourage your selling points to give them a variety of ways to help. When you truly empower others, you are not only developing a deeper relationship with them, you do so with yourself. Telling others what they need or need to do takes you away from listening and understanding them. I challenge you rather than focusing on needs, try to approach the direction that empowers the haves, the plenty, the options, and the goals.